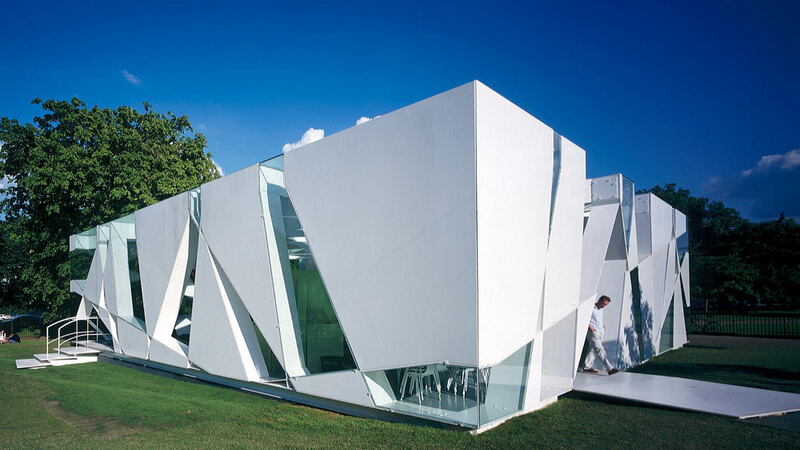 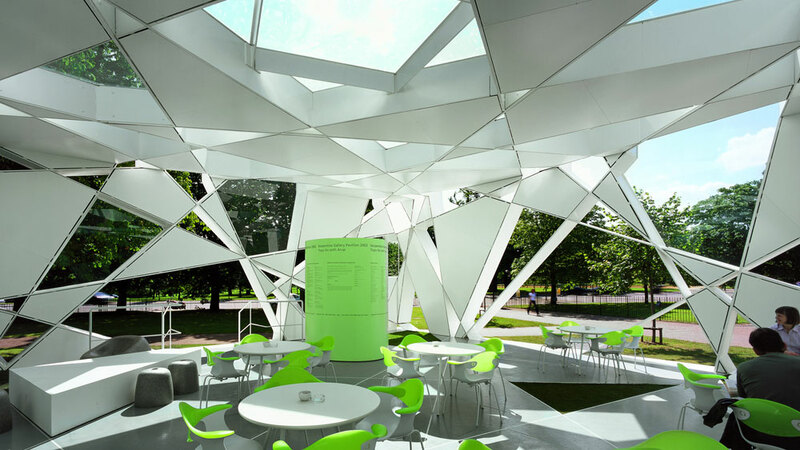 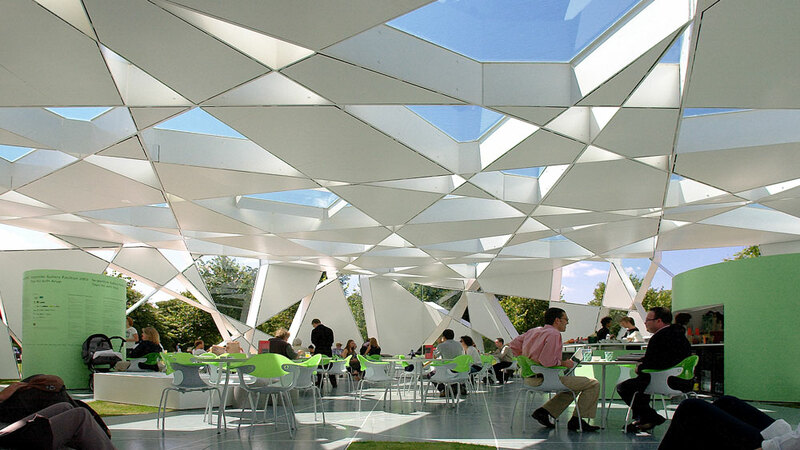 Winner of the Gengo Matsui prize for engineering, the 2002 Serpentine Pavilion was a collaboration between Balmond and Toyo Ito. 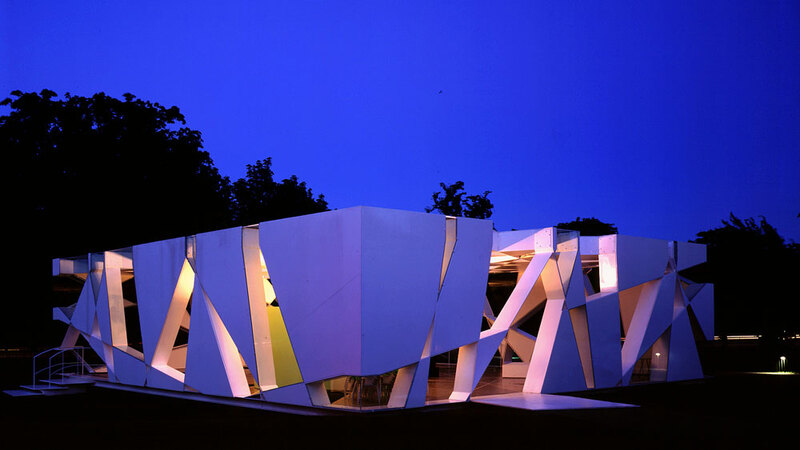 The intention: to transform the most ordinary of spatial typologies – the box – into something extraordinary. 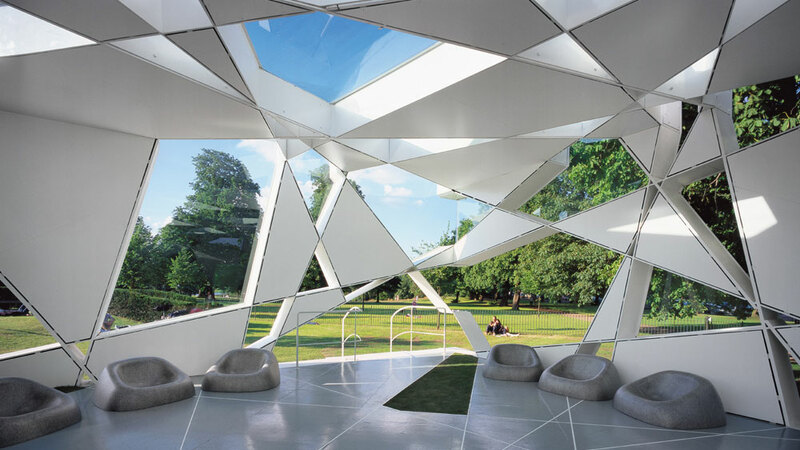 Noticing the pathways and channels intersecting Hyde Park, like the enigmatic Nazca earthworks, Balmond used a network of lines and velocities to criss-cross through the Pavilion’s box shape. 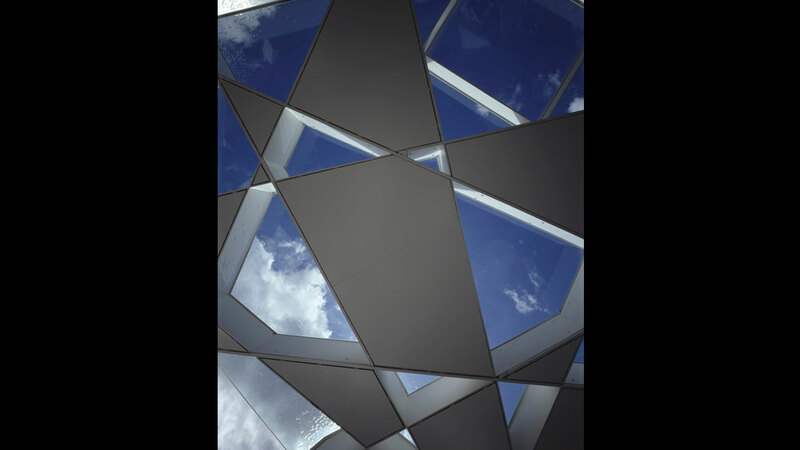 A specially developed algorithm was proposed: half to a third of adjacent sides of the square, which quickly resulted in a pattern of many crossings. 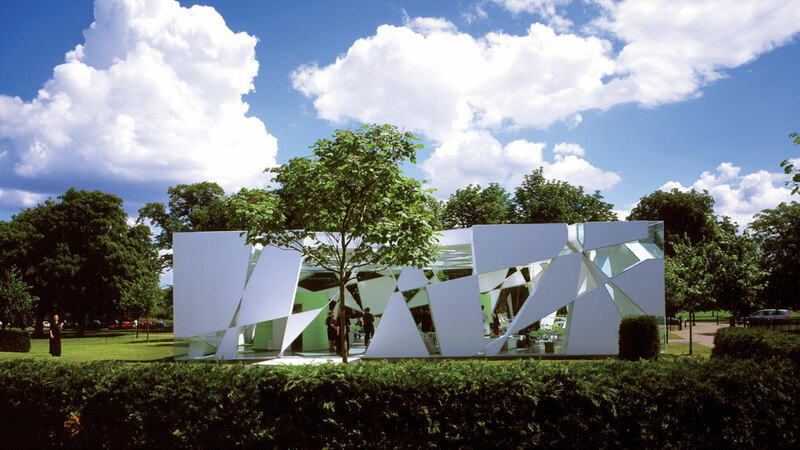 The lines and crossings became supportive steel blades, and a chequered pattern of glass and aluminium panels added to the sharpness of form.